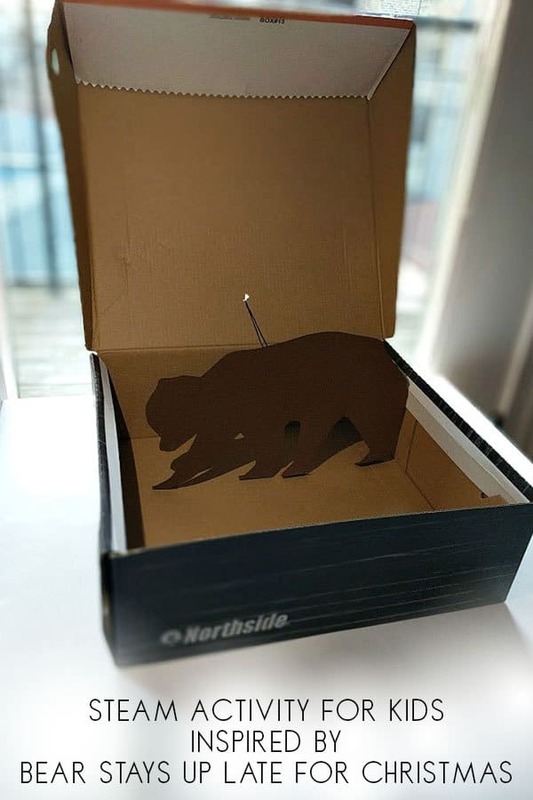 One of our favourite themes from last winter’s virtual book club for kids was bears – we created a fun way using bear paws to learn to read and spell names. This year we are revisiting the theme of bears and the featured book Bear Stays Up for Christmas by Karma Wilson with a really easy hands-on maths activity for ordering and sorting using some of the bears from the soft toy collection. 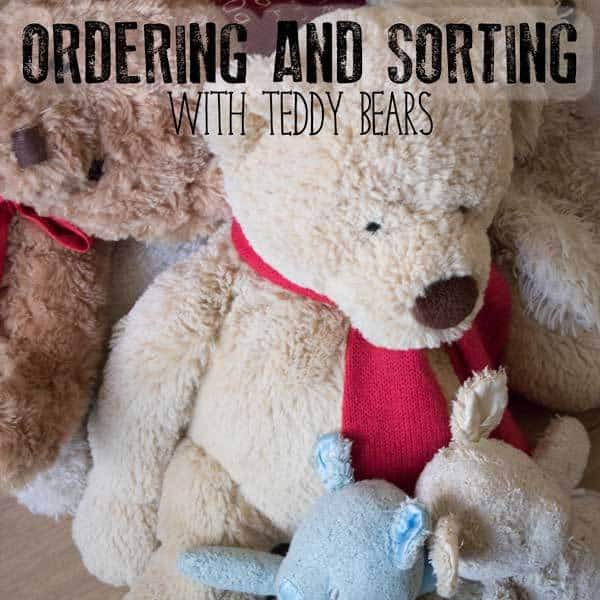 So here it is our Bear Ordering and Sorting Activity perfect for toddlers and preschoolers. 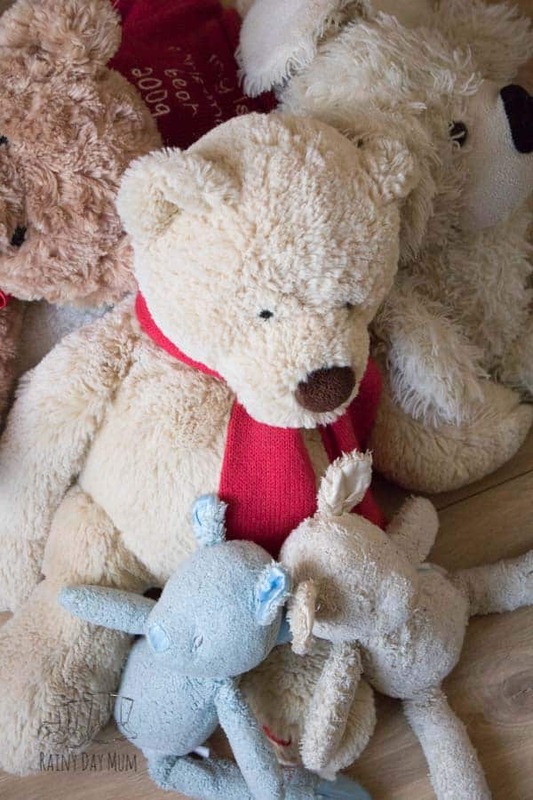 Don’t forget to check down to the end of the instructions where we will share some additional activities that will work with Bear Stays Up for Christmas. We have included links to affiliate products and resources that we recommend in this activity. We have chosen the featured book Bear Stays Up for Christmas by Karma Wilson for our Storybook Advent. As you go through the story you find the bear trying to stay up for Christmas with the help of his friends as they enjoy lots of the Christmas Themed Activities that you own kids will enjoy. 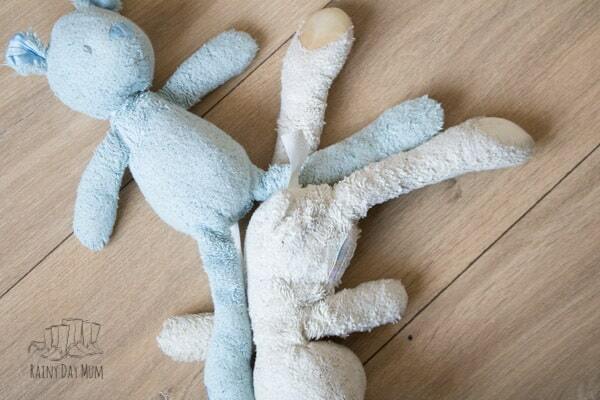 Why not re-tell this story by making a hibernation play mat and using a toy bear and other animals. OR you could use a set of bear family counters which come in different colours and sizes and would be ideal to use if you wanted to set this up in a math centre. 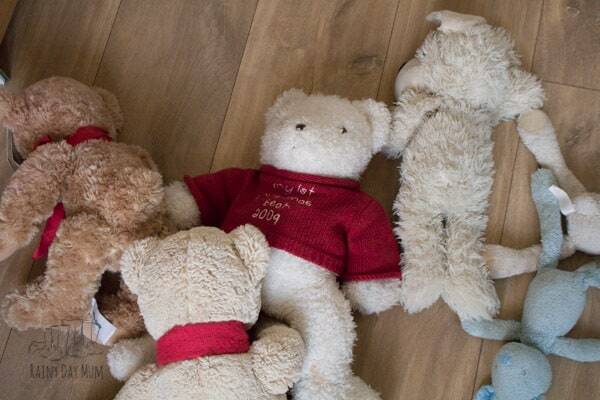 Once you have a collection of bears you can start to sort them into groups first of all. 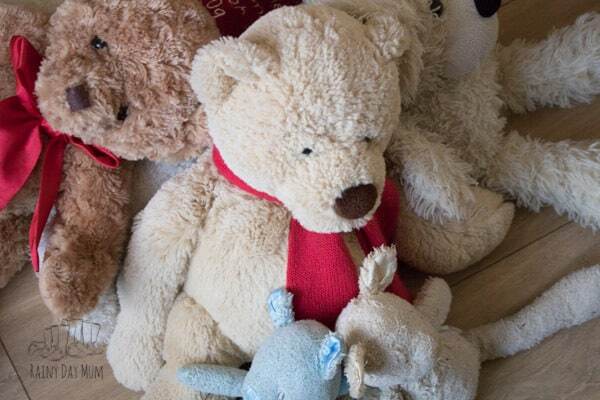 Move the teddies into the different sorts – if you want to get your kids active at the same time why not position some hula hoops and ask your child/children to go and place the bears in the groupings inside the hoops. Then order them placing first where they think they should go and then moving them into different places until they have the ordered correctly. 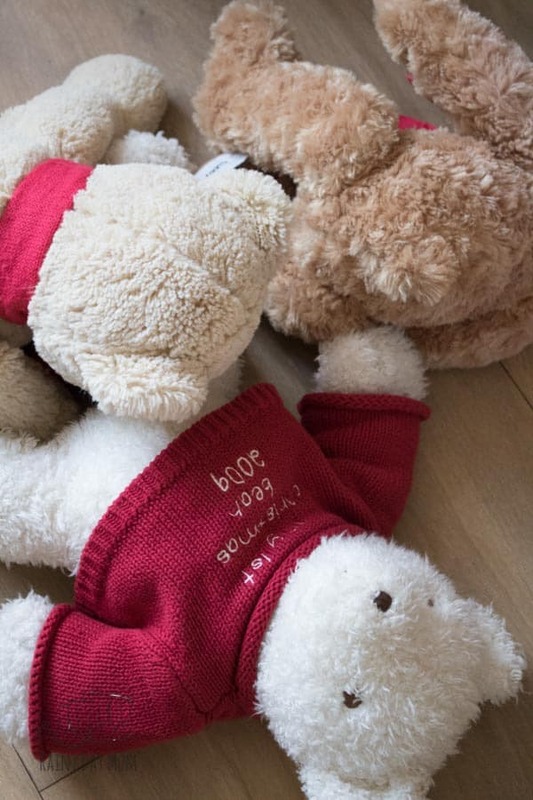 Help the Bear Stay Up for Christmas with this fun STEAM activity for Kids. 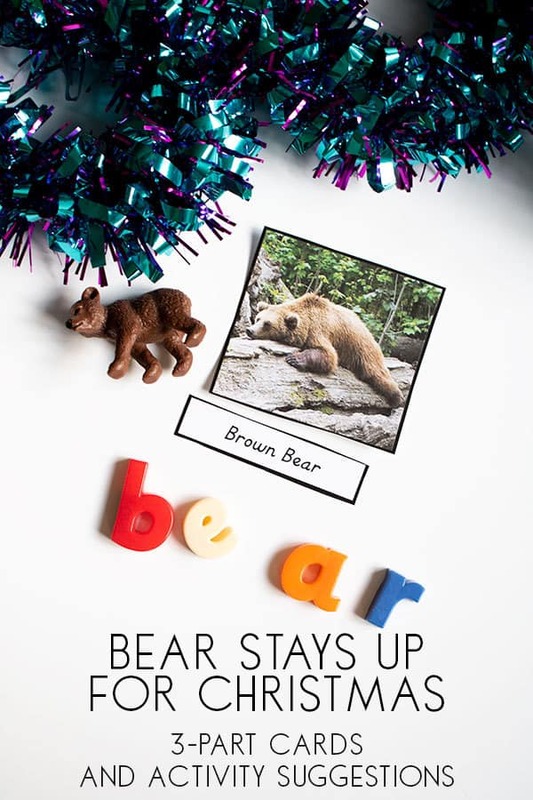 Download and print our FREE 3-Part Montessori Inspired Bear Stays Up for Christmas Cards and use with some of the suggested Bear Activities for Preschoolers. 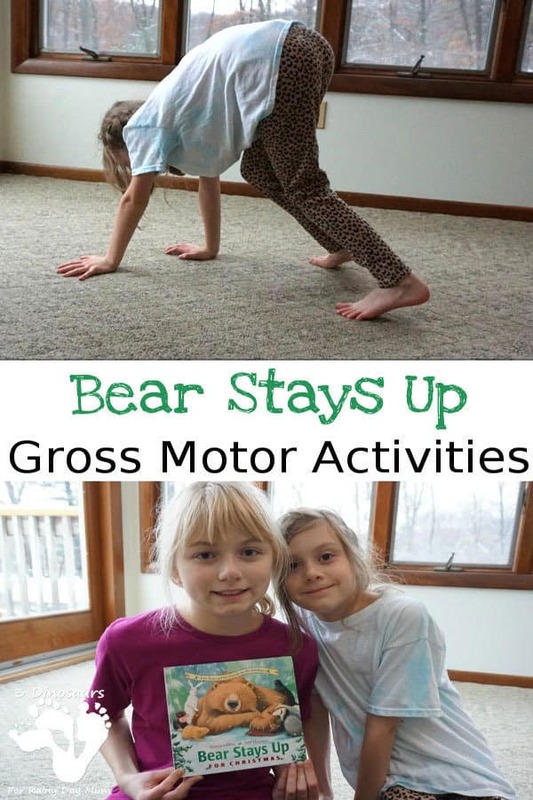 Keep the kids active and moving this Christmas with these Bear Stays Up Gross Motor Activities. Perfect if you are stuck indoors over the winter months. 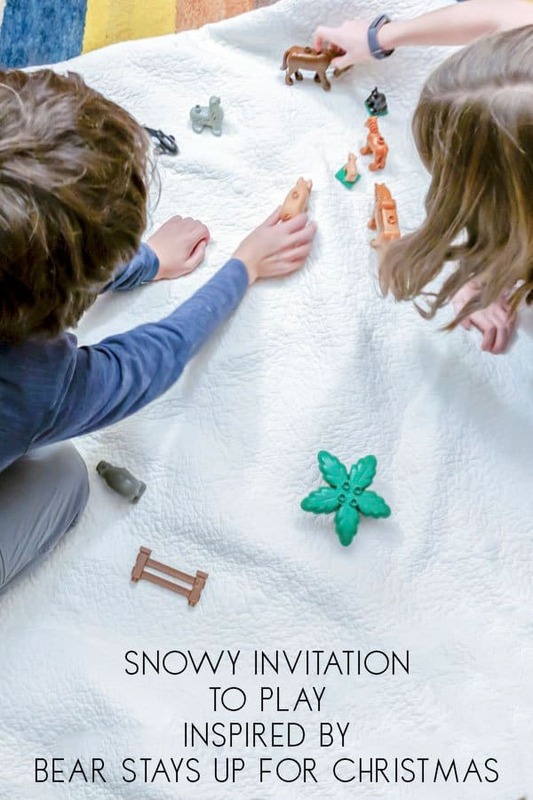 Get the imagination flowing with this Snowy Invitation to Play Inspired by Bear Stays Up for Christmas. 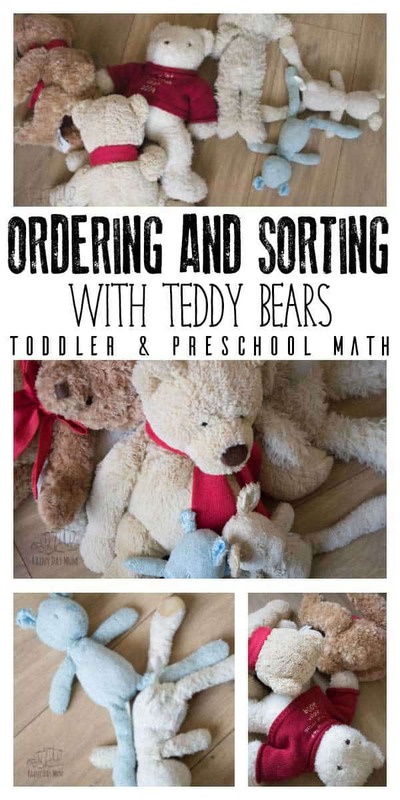 Teddy Bear Ordering and Sorting – You Are Here! What a lovely collection of loved bears!